Located behind Stowe Elementary School, Memorial Park is a central location for many recreational activities in the community including the Stowe Summer Recreation Program. The park includes several amenities like basketball and tennis courts, baseball and softball fields, and the biggest attraction, the Stowe Community Playground! Stowe built the playground in 2008 for use by the school, our community and our guests. The main structure is appropriate for elementary aged children and is reserved for Stowe Elementary School during recess times. Children must be accompanied and supervised by an adult at all times. All users are expected to place litter in trash receptacles and practice respectful behavior. Every facility in Memorial Park including the basketball court, tennis courts, softball, baseball and little league fields are open on a first-come, first-serve basis. Reservations are required for exclusive use. The Stowe Arena and David Gale Recreation Center are also located in Memorial Park. Located across from Stony Brook Condominiums on Luce Hill Road, just off the intersection of Rte. 108. 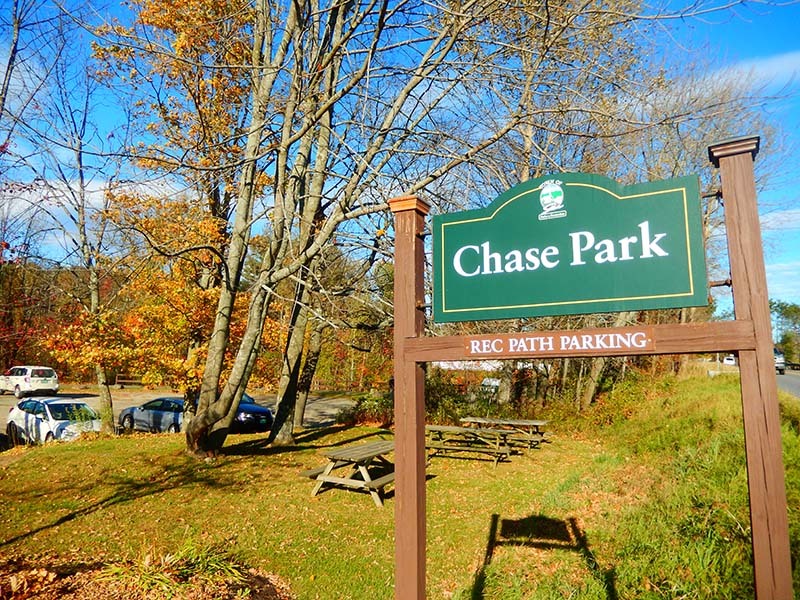 Chase Park offers access to the multi-use Stowe Recreation Path, picnic tables, and a newly installed bike maintenance station. Bike maintenance stations include all the tools necessary to perform basic bike repairs and maintenance, from changing a flat to adjusting brakes and derailleurs. Hanging the bike from the hanger arms allows the pedals and wheels to spin freely while making adjustments. Located off Rte 108 across from Percy Farm Corn Maze. 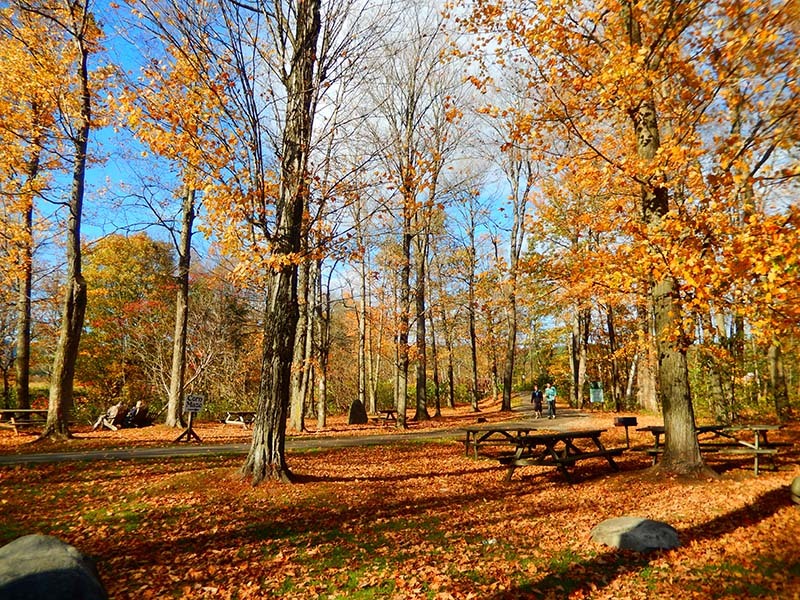 Thompson Park is the perfect place to take a break along the Stowe Recreation Path. The park offers scenic views of Mt. Mansfield, picnic tables, and grills. Located behind the Stowe Community Church on Main Street in Stowe Village. Lintilhac Park offers access to the multi-use Stowe Recreation Path, picnic tables, and a newly installed bike maintenance station. Whether it’s on four wheels, a set of skis or a pair of cleats, just about everyone in Stowe has stepped foot on the Mayo Fields at least once. The 32 acre open space is home to the Co-ed Softball League, British Invasion, July 4th Celebration, Stowe 8-Miler, Bitter Lacrosse Tournament, Stowe Derby Cross Country Ski Race and much more. Adjacent to the Quiet Path and West Branch of Little River, Mayo Event Fields are located in the center of Stowe Town. The Event Fields are just a small portion of the 235 acre Mayo Farm property that was acquired by the Town in the late 80’s for conservation. The parcel is managed primarily as open green space for agricultural, dispersed recreation and community event use. The main event field covers 32 acres with two smaller adjacent fields for parking and other activities. The Polo fields are located next door to the Community Garden on the Mayo Farm property. With the capacity to accommodate several full size and modified sports fields in one 16 acre location, Polo has been an ideal spot for tournaments and league programs. Currently, Polo is home to Stowe Soccer Clubs, Mad River Rugby and the Stowe Flag Football League. On any summer day, the Moscow Recreation Field is teeming with activity. From Little League games to fishing and swimming, this recreation area is home to a number of important community past times. The recreation field is a 4.7 acre open space with two youth baseball diamonds, a picnic area, small pond and over 600 feet of frontage on the Little River. No parking along the side of the road. Reservations are required for exclusive use. 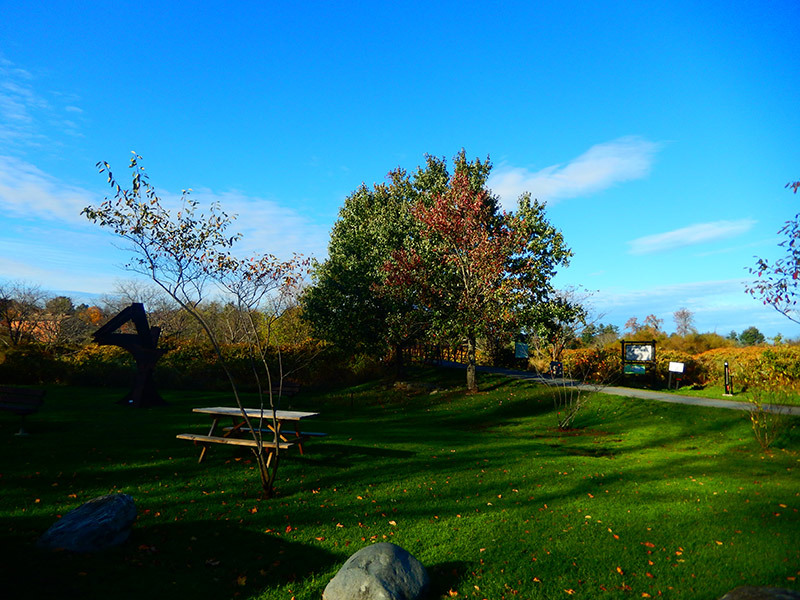 Sunset Rock is a small, scenic park located in the heart of Stowe’s historic village. The best way to visit is on foot by route of the Sunset Trail from Stowe Village. The trail begins at the end of Sunset Street and takes less than an hour to complete round trip. The gradual hike makes it perfect for those looking for a mellow walk through the woods. Plus, about 100 yards up the trail, walkers can enjoy a beautiful view of Main Street with a forested backdrop. Alternately, you may access Sunset Rock by driving to the parking lot off Tabor Hill road and walking to the summit to enjoy the park and panoramic views. For accessibility accommodations (such as driving to the summit) please contact the Recreation Office during business hours. Sunset Trail visitor parking is prohibited on Sunset Street. The park at Sunset Rock is for low impact activities only. No motorized vehicles, fires, horses, hunting or trapping. Camping is prohibited. Sunset Rock is for day use only and is open from dawn to dusk. Social, education and recreation gatherings are permitted, any function with more than 25 persons requires approval from the town. There are no trash receptacles, please carry out all garbage. Dogs must be under voice control or on a leash.